Devices such as HD streaming media players, 4K TVs, tablets, and game consoles use a lot of bandwidth. 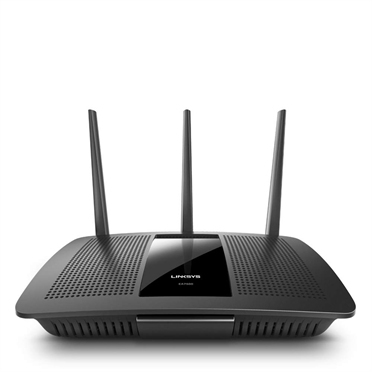 But with MU-MIMO (Multi-User, Multiple-Input, Multiple-Output) technology, the MAX-STREAM AC1900 sends advanced Wi-Fi to multiple devices at the same time and same speed. Your whole family can play, stream, and work at once, without experiencing lag or buffering--at up to 2x the speed of a non-MU-MIMO router. Enjoy fast-paced Wi-Fi activities such as online multiplayer gaming with the MAX-STREAM AC1900. Powered by a 1.4 GHz dual-core processor, it is capable of handling three simultaneous data streams. This results in improved Wi-Fi performance and faster Wi-Fi speeds to more devices. - Guest Access: Create a separate, password-protected Wi-Fi network for up to 50 guests and easily share the password. - Parental Controls: Ensure a safe Internet experience for your kids -- even when you're away from home. Restrict access to inappropriate or distracting content, control usage, and block specific devices from accessing the Internet. - Device Prioritization: You can prioritize devices that need the most speed.